Remarkably, two decades have passed since Madeleine Peyroux burst onto the jazz scene with Dreamland, introducing a singular voice that the critic Nate Chinen later aptly described as “a small, distinctive thing with all the weathered charm of a flea-market antique.” Then Peyroux disappeared, not returning to the studio until 2004 to commence a series of albums that, mirroring her quixotic charm, has established her as one of the most arresting singers of her generation. This past September, on the eve of the release of her Impulse! 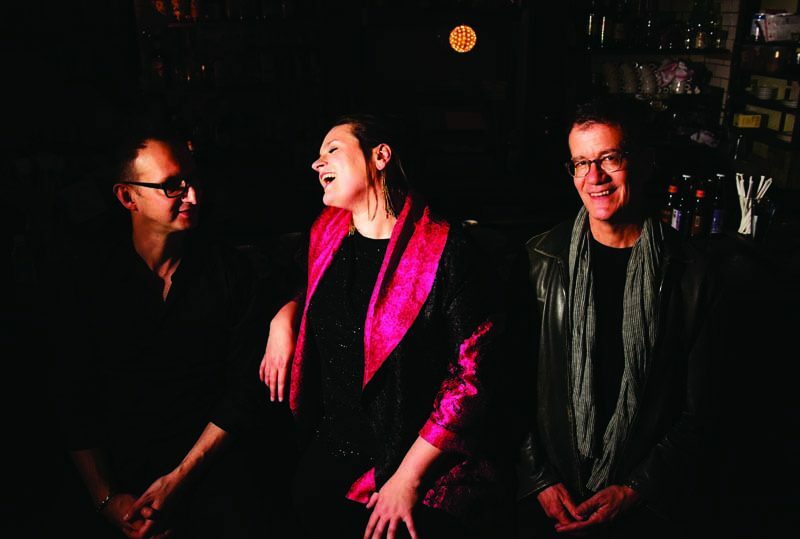 label debut, Secular Hymns, Peyroux, now 42, spoke with JT about everything from her peripatetic evolution and biggest musical influences to the shaping of the new album with her stellar trio-mates, guitarist Jon Herington and bassist Barak Mori. 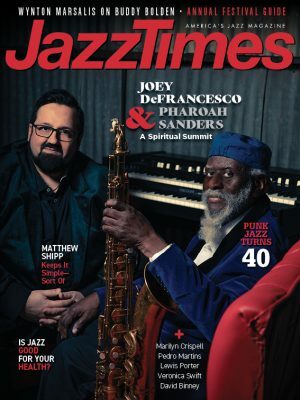 JazzTimes: Would you classify yourself as a jazz singer? 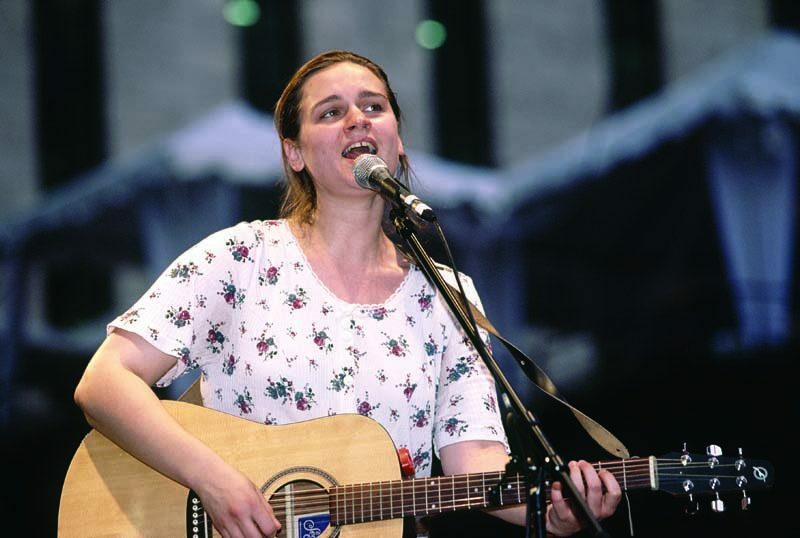 Madeleine Peyroux: I think the term jazz has lost its potency. It doesn’t carry as much meaning anymore, especially since we are now in such a crossover world musically. I don’t think a jazz purist would call me a jazz singer. Pop audiences would call me a jazz singer. So I would say I’m a blues and jazz singer. 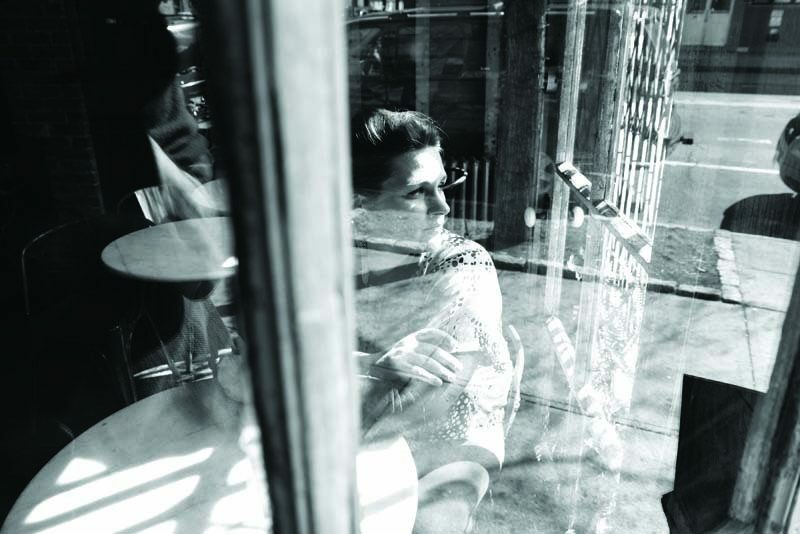 Ever since your debut album, there have been nonstop comparisons to Billie Holiday. Billie Holiday represents a great deal in music, and I think she gifted a whole lot of innovative ways of approaching songs to all of us who sing. I stole that. I said, “I’m going to try this, because it seems like something I can do.” She was incredibly innovative in terms of being a dramatic artist. But one of the things I like to tell people is “If you want to hear Billie Holiday, please go and listen to her.” It’s not something I can ever reproduce and honestly don’t intend to. But I do intend to learn from her and her dramatic perspective. I think it’s because she’s so incredibly strong and dynamic that I picked up on her style. Your early years were vagabond and often volatile but filled with music. What resonated most strongly? It was a time when radio was very uninspiring. It was pretty awful. But there was music in our home, which made it sort of a sanctuary. I was exposed to the records we had, and we had a pretty eclectic assortment. A few that stick out easily are Lieutenant Kijé by Sergio Prokofiev, Maurice Ravel’s Boléro, Hank Williams Sr., Fats Waller, Fats Domino, Peter, Paul and Mary, Jim Croce and Johnny Cash’s At Folsom Prison. In terms of style, it’s interesting that you can see country and blues influences throughout. I didn’t discover Bessie Smith until I moved to Paris. Speaking of Paris, after you and your mother moved there from California when you were 13, you quit school and became a street busker. How did that experience influence your artistic development? I found life to be so great and possible in a country that’s not here, not only because I was a step away from it and could say, “Oh, that’s America over there; let me think of it from the outside,” but also because there is, I think, an inherent culture in France and throughout Europe where there’s a lot of respect for the artist-and probably more for the starving artist than for the financially successful artist, which goes completely against the grain here in the United States. There’s respect for the artist, period: [the understanding] that art has a place in the world, that it’s essential. I perceive a lack of that here in the U.S. quite clearly. Somebody can stand on a street corner and perform music, or juggle or recite poetry in Paris; here it doesn’t cross over. Of course, I live in New York City, which is not representative of the rest of the country. But it’s a shame that we don’t have that kind of culture. Across your albums’ track lists, freedom and self-empowerment seem to be strong, recurring themes. Let me refer back to the way I listened to music at home. The one underlying goal of mine in all the music I hold dear is finding an American identity. Being a woman is part of that as well. One of the main reasons that Billie Holiday and many other female jazz singers were important and empowering to me and became part of [my] repertoire was that I needed to see how women got over such daunting circumstances. I grew up in a home where there was a lot of domestic violence and my mother was the victim. And themes of freedom and empowerment need to be in the music to help me find out who I am. With 1996’s Dreamland you were hailed as a rising star, an important new voice, yet you chose to walk away. I didn’t have a lot of expectations from Dreamland. I thought of it as an experiment. I figured it would come out and then I’d just go back to school or figure out what to do with my life. I’d committed to music after dropping out of high school, but that doesn’t mean I have any confidence in music being my life’s focus. Yet it always keeps coming back! I needed to take a break, for one, because I started making another record in 1998 after touring, but I was having trouble with my voice. I’d had no training, and I had no grasp on how to be a recording artist or touring musician. I’m still working on that. I lost my voice in the studio, and taking a step back allowed me to start over and make a full commitment to being a musician. And I needed to get my voice back, which took some time. You finally returned to recording in 2004, signing with Rounder Records. How did that come together? I was booking myself in clubs. I’d discovered I couldn’t make money doing anything else. I was an extremely bad waitress, [and] was bad at everything else I tried to do. I started singing again at a club in Nashville, playing solo five nights a week. Then I moved back to New York. I took my half-sister and her children with me to upstate New York, right before 9/11. I met some promoters who remembered me, like the guy from the Bottom Line, who were willing to book me without a record. During that time I got an email out of the blue from an A&R guy at Rounder. I’d always admired Rounder because they worked with small artists that were very precious to me, and the fact that they held onto their catalogue. So that was that, I signed, and then got distribution through Universal, which is the biggest music umbrella out there. Larry Klein has produced four of your six previous albums, including Secular Hymns. It seems safe to count him among the biggest contributors to your musical evolution. Larry is always willing to say, “We can do better than this.” I admire Larry for always taking the extra time. He has that same perspective of respect and, greater than respect, reverence for the quality of what we’re getting. Yet it doesn’t mean he’s unwilling to be spontaneous. He’ll give me a song and I’ll say, “That’s too hard,” or a song where I don’t understand where he wants to go with it, and I have to stand on the precipice and see what happens. But I have immense trust in his ability to put it together. On top of that Larry’s a musician, which I think is pretty important if you’re going to be a producer. He’s informed, he’s thoughtful, he’s a fan of text and literature and he listens to the words as much as the music. When I first spoke to him on the phone, I asked him what kind of record we should make and he said, “I’d like to make a record that sounds like the dream of a record.” And I’m thinking, “What do you mean?” But we got through that. We made Careless Love in a few days flat, and a lot of it was discovered while we were in the studio. None of the musicians had been given any idea of what we were going to do. It was a beautiful experience just discovering the music. You and Klein have also been frequent writing partners. I think of Larry as a writing partner in the same way he produces, because he’s willing to take the time to go through it with a fine-tooth comb and fix everything. I’m not really intent on being a great writer, or at least I don’t have a lot of faith in where that’s going anymore. I still want to keep trying, but I’m really a singer, and that’s the first and possibly only thing I do. For the past two years you’ve focused almost exclusively on your trio with Jon Herington and Barak Mori. We’ve been playing together in various formations for 10 years. I first heard Jon play with Donald Fagen, and I remember thinking, “This is the greatest, most careful electric guitar sound-careful and yet still free.” Barak has versatility and showmanship [that] is very rare for a bass player. He’s also very content with simplicity, which is difficult to find in the jazz scenario. About two years ago we booked some shows in France in smaller theaters, and I couldn’t afford to bring the whole band. So it was a bit of a fluke. I said, “OK, if we’re going to play smaller clubs, let’s try doing it as a trio.” It was a natural process for us to come up with new ways of playing this music, plus the guys are willing to sing. Jon is actually a good singer and Barak is a real showman. So we’ve ended up doing one thing I love a lot: two guys singing background vocals behind me. We are rebelliously quiet, and I really enjoy that. Where did the title Secular Hymns come from? It’s a title that came to me and would not go away. The idea that the music lives in a spiritual realm means a lot to me. I was given a compliment after we played in the church [where the album was recorded], that we “filled the hall with spiritual humanism.” That really moved me, and I thought that was really kind. The next morning I woke up and had that title in my head. You comment in the liner notes about the magical nature of the setting, a 12th-century church in rural England. There’s something very inspiring about the way the human voice sounds in that room. It’s a very small church with wooden beams, so [it] doesn’t have the imposing size of European cathedrals, and it has a warmth that comes from the old wood. The acoustics were so grand and yet not too big. The playlist extends from traditional spirituals to Tom Waits and Townes Van Zandt. How did it take shape? I’ve wanted to do “Trampin'” ever since I heard Marian Anderson’s recording. Some of these songs have lived with me for a long time, like Tom Waits’ “Tango Till They’re Sore,” but there are quite a few that we’ve added over the past three years with the trio, including “Got You on My Mind,” “If the Sea Was Whiskey” and “Shout Sister Shout.” Some were added because we were hired to do a blues cruise, and I was grateful to have the opportunity to mine the blues repertoire. Stephen Foster’s “Hard Times Come Again No More” came up because of a Christmas show we were invited to do in Detroit. We added that song because it was near and dear to me to acknowledge how important Detroit is, how great they’ve done and how far they’ve come. Wherever we go in the world, especially in the United States, we get a lot of feedback from the audience about what’s going on in the news and in society and how to deal with it and move forward. Learning [from audiences] about what’s going on is maybe the most important part of building a repertoire, because everything needs to be relevant, whether it’s the soothing thing Ray Charles can bring or the crazy irony of Tom Waits or the folk storytelling of Stephen Foster or the blues yelp of Billie Holiday or Willie Dixon: whatever I can do to bring something to the table, for these people who want to find something added to their lives rather than taken away. That is just perfect. It describes the kind of person I’d like to be-the ideal I seem to get further and further from as I get older! At the end of the day, we’re trying to be the best we can be as human beings. When it comes to solitude, it really is important to me. It might be hard for some people to look at solitude and not think of loneliness. But solitude is really at the center of how to become those other things: open, patient and receptive. It’s a perfect quote, but I’d expect no less from Rilke.